You have heard that you can earn more money with private freelancing clients. In general, I’d say that’s true. But if you new to freelancing (or even if you’ve been freelancing for a while), you may not even know what a private client is, let alone how to get one. That’s where this post can help. I’ll explain what is meant by a private freelancing client. I’ll also explain how to get private clients for your freelancing business. If you liked this post, you may also like Where on Earth Am I Going to Find My First Clients? What Is a Private Freelancing Client? Clients you find through someone else. It’s common for freelancers to find clients through another entity. There are many job boards, agencies, and others who are willing to act as an intermediary between you and a client. Clients you find yourself. These clients are your private clients. Their relationship is directly with you, the freelancer, and not through any third party. Many freelancers start out working for the first type of client, either finding clients through a job board or working with an agency. It’s true that there are plenty of jobs on job boards and through agencies. In time, however, many clients move on to working directly with private clients. One reason for that is because freelancers can usually earn more when they work for private clients. Working through a job board or agency can affect your bottom line as a freelancer. While there may be many jobs available through job boards and agencies, such jobs often pay less than private clients. Intermediaries receive a portion of the earnings. Agencies and job boards are in business too. To be profitable, they usually keep a percentage of what the client pays for themselves. Or they may charge the end client directly. Either way, less of the client’s budget ends up going to the freelancer. In contrast, all of the payment from a private client goes directly to a freelancer. This usually means that the freelancer receives more money. Many job boards encourage price-based bidding. Many job boards are set up so that freelancers bid against each other for project work. Often, the freelancer who is willing to do the work for the least amount of money is the one who receives the project. With a private client, the freelancer is able to focus on the value that he or she will provide to the client and not on charging the lowest price. This also often results in higher quality work from the freelancer. Freelancers often have to sign a non-compete agreement. Many intermediaries require the freelancer to sign an agreement stating that they will not work directly with any clients they work with through the intermediary. This means that if you are working for an agency and one of the agency’s clients really likes your work, you cannot accept a project directly from that client. As you can see, there are some real financial differences between finding clients through someone else and finding your own clients. You’d think that most freelancers would jump on the opportunity to work for private clients, but that’s not always the case. One reason is because it takes a lot of effort to find private clients. 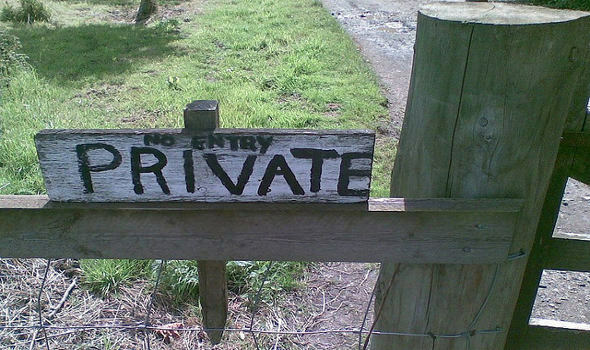 Another reason is that many freelancers don’t know how to go about finding a private client. Develop a healthy online presence. This means having a freelancing website for your business. It also means regular participation in social media. It may mean blogging on your own or other industry sites. Build relationships with potential clients. Private clients choose to do business with you because they trust you. But that trust rarely comes overnight. Instead, it may take months, or even years to build. Do you work mostly through third parties or for private clients? Which do you prefer and why?